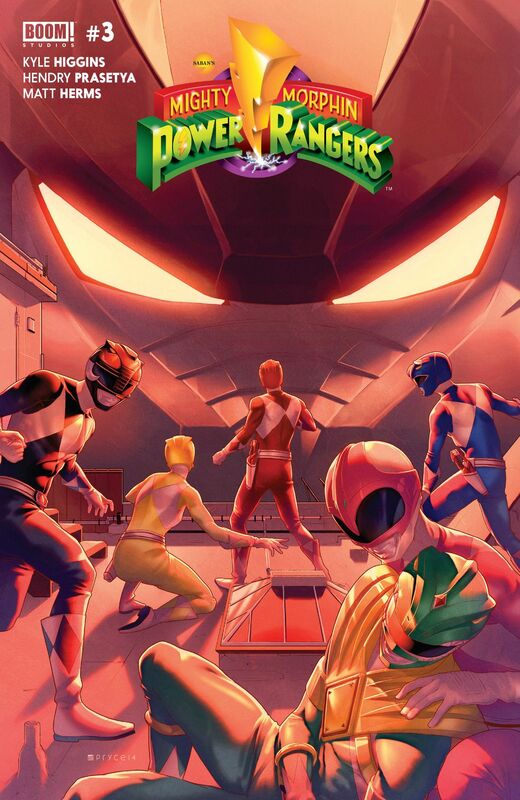 Dive into the first collection of our best-selling, modern, ongoing Mighty Morphin Power Rangers series. 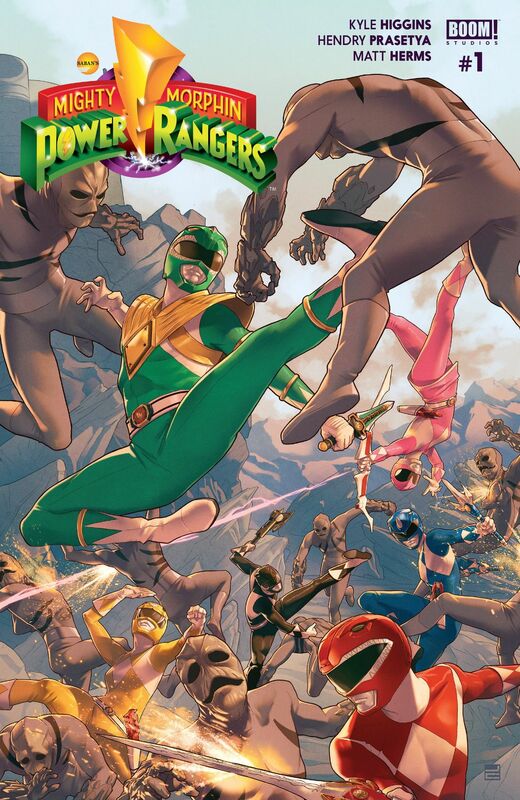 After escaping Rita Repulsa’s mind control, Tommy Oliver, the Green Ranger, joins the Power Rangers to combat the onslaught of evil attacks plaguing Angel Grove. Any semblance of a normal life is gone for Tommy now, but with his newfound family there lies hope for a brighter path. Collects issues #1-4, plus the prequel issue #0. Like many kids born in the late ’80s, I was obsessed with the Mighty Morphin Power Rangers growing up. Many a recess was spent fighting Rita’s putties, and can we just talk about merchandising? I had the 8″ figures, the Megazord, Dragonzord, the figures with the heads that flipped out of a compartment in their chest, various bedspreads/blankets, and the still-good Mighty Morphin Power Rangers videogame for the Sega Genesis (which I play with my three-year-old now). What I am trying to say is that I was a bit of a fan of the first batch of Rangers, and the nostalgic part of my brain (a majority of my brain) was very interested to see what Higgins and Co could do with this colossal franchise. 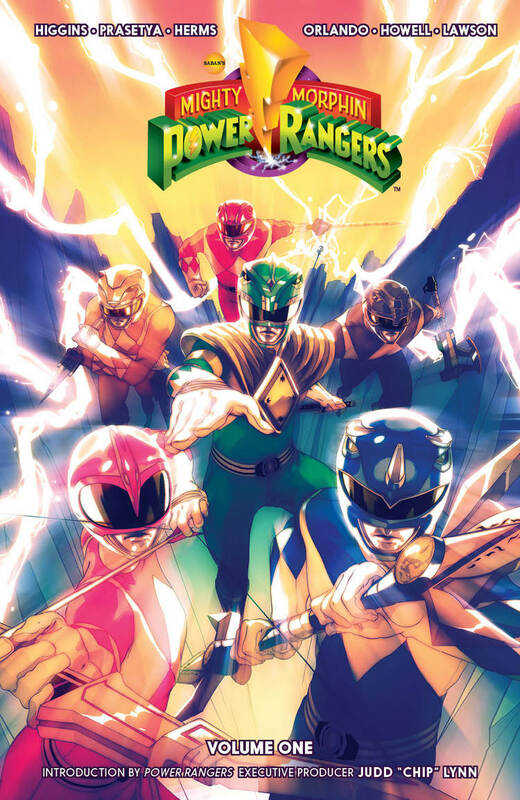 Previously on 4LN, I reviewed the first issue of MIGHTY MORPHIN POWER RANGERS and thought that it was a great first issue filled with nerdstalgia from the original show. 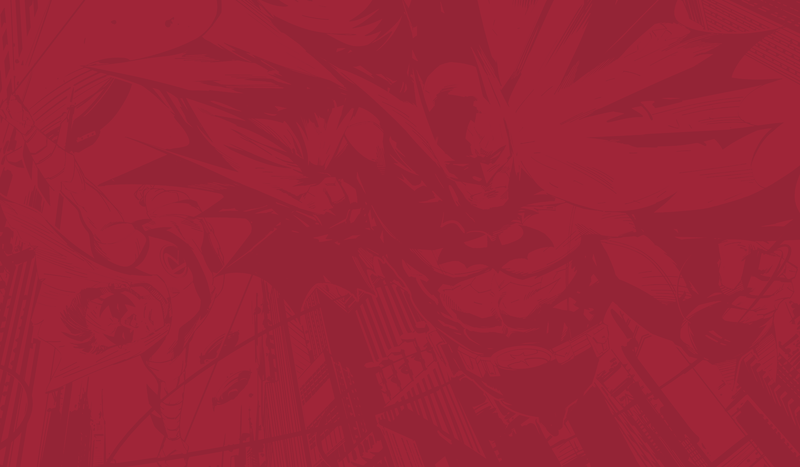 The next three issues (and the #0 that I missed) fit well into that narrative. Kyle Higgins does a fantastic job capturing the tone of the old episodes, while also updating them a bit so they don’t feel dated. Like, the characters reference servers, have cell phones that aren’t the size of bricks, and even deal with more modern issues like the way PTSD effects people, but also talk just like they did in the ’90s. While that might be jarring to some MMPR purists out there (and you know they are out there), I felt it was handled in a way that was respectful of the original content. 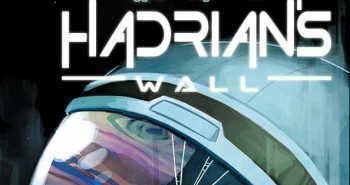 Higgins is a good writer, and he brings his A-game to this series. 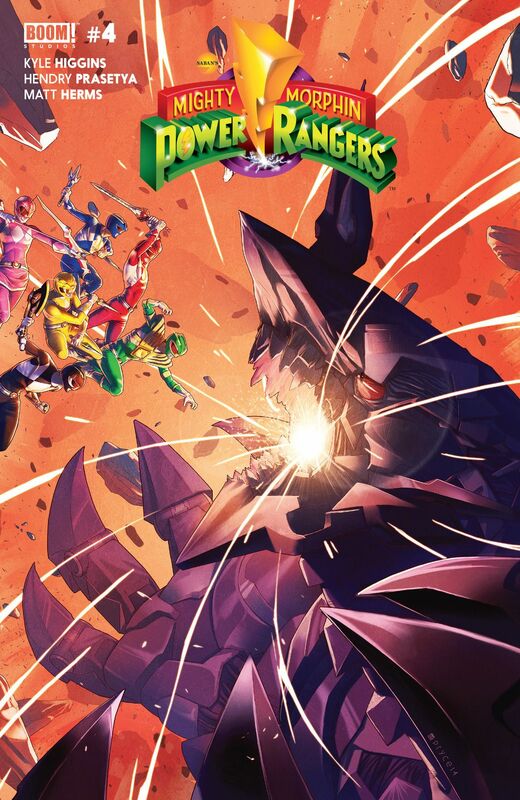 This particular arc finds Tommy, still haunted by his actions as a pawn of Rita Repulsa, dealing with his struggle to find his place in the team. Jason and Zack don’t yet trust him, and Rita is constantly in the back of his head causing him to doubt himself. It would have fit perfectly as a multi-part episode that took place directly after the “Green With Evil” five-parter from the original show. 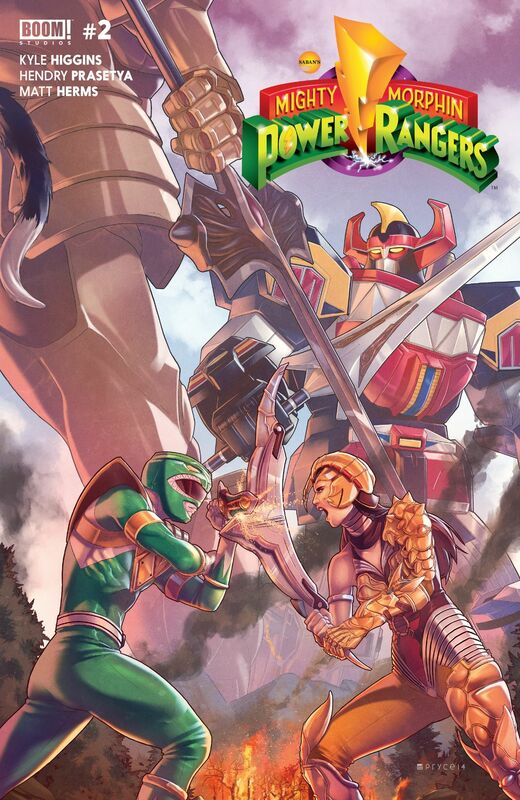 The characters interactions with one another feel spot on, and we see all sorts of notables from the show, like Scorpina (who plays a pretty big role), Finster, the putties, an exiled Goldar, and, of course, Bulk and Skull. Moving on, let’s talk about the art. There are some panels in this volume that are just fantastic. 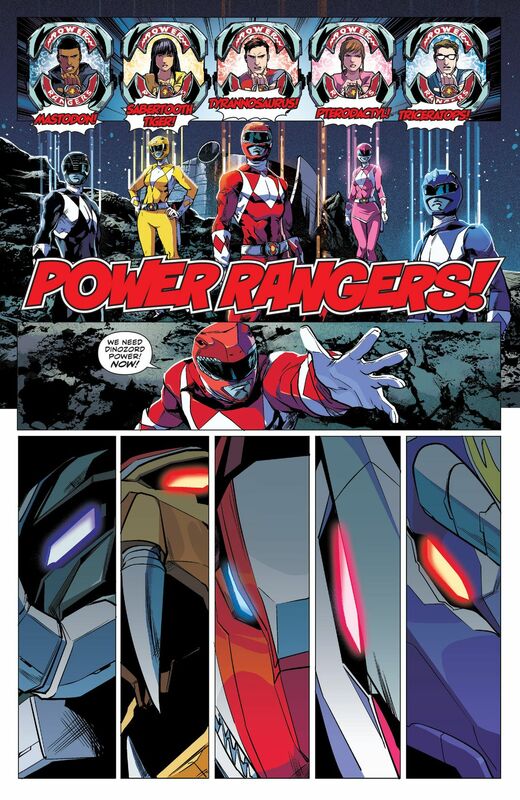 The art teams absolutely nails the Rangers, the monsters, and the Zords. While the scenes that take place out of uniform are light-hearted, for the most part, and almost cartoony (not in a bad way), the fights are gritty and paced perfectly. There was never a moment where the action was confusing. The best part by far is when we see the team morph for the first time. I could just hear that opening guitar riff playing in the background, and it was perfect. I was also excited to see all of the awesome cover art included in this trade paperback. The regular covers, as well as the variants, include some amazing takes on the Rangers, and would’ve been plastered all over my bedroom walls when I was a kid (and probably would be now if my wife would let me). 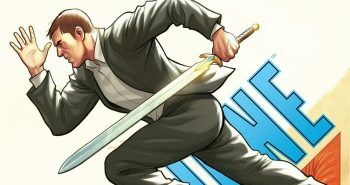 Look, if you are a fan of the original show, you need to check out this series, and the first volume is the perfect place to start. 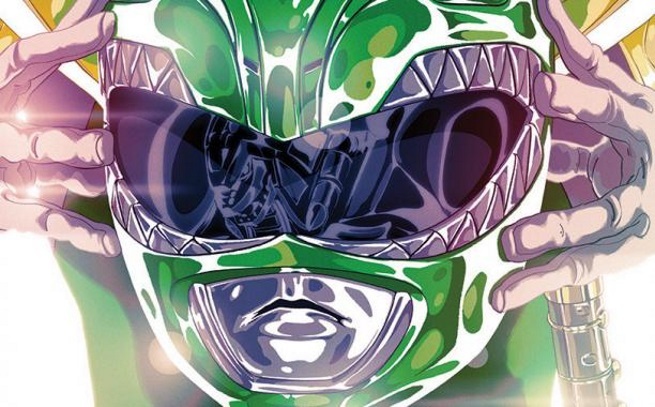 This creative team is in tune with what made the Mighty Morphin Power Rangers a cultural phenomenon in the 90’s, and this just might be one of BOOM!’s best series out right now. 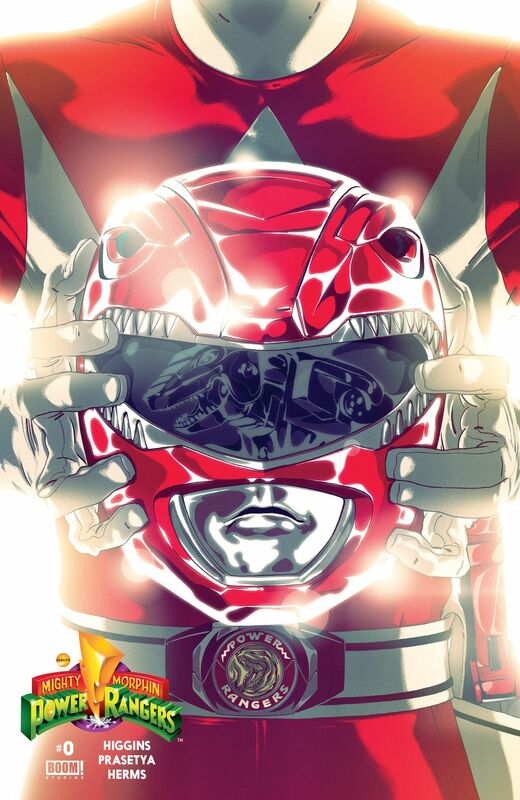 Mighty Morphin Power Rangers vol. 1 hits the stands on September 14, 2016, and will be sure to bring back a little magic from your childhood.